thanks... I spent some money. So they also show Mines of Moria, Orc Forge and Goblin King Battle at 50% off but sold out. Were these sets ever really available at 50% off or does that pricing just change with everything else even thou the sets were already gone? $44.98 Palpatine's Arrest (shipping May 2). Martian promo added to bag and not in OOS email update, so maybe it will ship early. There's some pretty sweet deals on there right now. Doubt these will last long. Not only that, but there's other deals. #70000 Razcal’s Glider is down to $2.98 (75% off). The Boba Fett magnet is $1.48. And #4429 Helicoptor Rescue is once again ordable, but backstocked. Helicopter Rescue shows back ordered on the page, but when you add it to cart it says sold out. I ordered two #4429 last week along with a Cloud Cuckoo Palace to get free shipping. The Helicopter Rescues were on backorder, but they went ahead and shipped CCP which I received today. Maybe this will mean that anything that is in stock will be shipped immediately, including Martian Manhunter, and backordered items will ship separately when available. Just to be safe I added some cheap magnets to my order of Palpatine's Arrest to hopefully get those and Martian Manhunter shipped now. 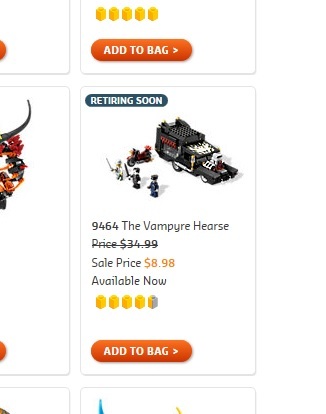 The Vampire Hearse was just in stock at $7.98 and had an 'add to bag' button, but it would not add to my bag. Now it has disappeared from the sales pages. ^ Heh-heh, I saw the same thing with the Hearse and wasn't fast enough to get it added to the cart either. Me too....however I got x2 #9526. Nice deal with Martian Manhunter poly. I took that deal as well. I made the mistake of buying #9526 at full markup at TRU when it first came out (don't ask me why, I haven't even built the thing) so I figure getting two more at this price will push the average set cost much lower, and I got the free poly and VIP points! I do not believe the Vampyre Hearse was available anymore was it? Dammit. I'm so afraid this is going to happen one night with the Arkham Asylum set and I'll be out of luck completely on that one. Did you order a filler to push the shipping? I was afraid that all of the orders on back order till May could possible lose out the freebie so I added a $1 keychain to make sure they ship out partial order first. Yes, it was back in stock for maybe about 30 minutes. Yay, the Big Zoo is 50% off. I couldn't justify spending $90 on a Duplo set, but for $45, I'll bite. Those animals will be really cute for me, uh, I mean my daughter, to play with. Called to check on #9516 and they actually had some in. The wait time was long, but the lady on the end of the line was very friendly and helpful - my first experience with the phone ordering. I'm impressed. Is there any chance we could price match #9526 at TRU? The one closest to me has a ton of them. was anyone able to get #9464 @ the sale price? Check your order. There was a massive cancellation this morning on this item (over 1200 sets) as [email protected] system went panicking. I had to phone in to straight things out. I have one order in customer service status. Another order that consisted of 2 Paltatines Arrests already show that the Manhunter freebie was shipped by himself. My T-Rex holiday baubles were cancelled. I should hope the freebie & free shipping is still honored since that dips mine below $75. @adol7, happened to me before they still shipped me the freebie. Also yesterday, I made an order that only had baubles, they are all on back order but the freebie shipped today. @JeffH - Thanks for the heads up. I got the cancellation email and then another one a few hours later notifying me of the mistake. It said that it's still on order, but I think the backorder date is later now. I ordered a pair of #4429 like two weeks ago. I got an email on Wednesday, Feb 26 saying that they shipped. As of today when I would attempt to track that shipment, there's nothing beyond an "initiated" status - no movement or activity. I finally called this afternoon, and after being on hold for about 30 minutes the rep tells me that there's been a mistake. I've been charged but nothing had actually shipped. 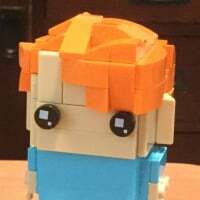 Anyone here still think Lego's and Disney's CS are on the same level? Is anyone able to view their order status? All my past orders have disappeared. ^Same here. I barely refrained from typing that all caps. And with 30 seconds left in my EDIT timeframe, my orders are visible again. ^^ Me too. Here's hoping that LEGO has a good I.T. dept. working on this. My orders are back now. Yeah LEGO I.T.! Interesting. I have gone over 75 dollars in my bag at [email protected], but I do not see the Martian Manhunter figure being added into my bag. ^ Their order system was hammered again. 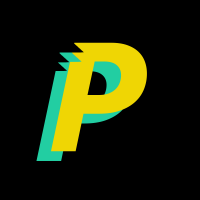 All discount/promo was not working. They did post a message about this. ^^That happened to me yesterday as well as last August on Limited Edition Crawler night. Both times the VIP points, free shipping and free promos showed up on the order in the next day or so. They should change to compete, yes. It just depends on which time they decide to change it. It can be within five minutes to nearly an entire day before they acknowledge your request. However, they may not adjust the price at all. I'm sure there's some factor that I'm missing here, but you'll need to wait for someone with more experience in the Walmart-pricematch field. I placed an order today and only 2 of 3 items on sale was correctly listed in my invoice! Now the status of my order is "Customer Service". Interesting to hear about the experience others had with the Big Zoo. My order was cancelled but not reinstated. Such a shame as I had bought this for my daughter for her birthday and she would have just loved it. @hoyatables it is still available to order if you want to. Just on backorder. I had the same thing happen so I ordered some more (before I got the email saying they would reinstate them). If they don't reinstate I will at least get some free Martian Manhunter's out of it. If they do, I'll just have a bunch of Big Zoo's. Everything went fine for me, Christmas baubles and all discounts with free Martian. The only thing that hasn't gotten done are the VIP points. Ordered Lego City Undercover Wii U and Palpatine's Arrest. Looks like mine is gonna wait to send Martian Manhunter when Lego City Undercover or Pally ships later in the month(s). "Partial shipment balance on backorder." looks like sale ended. the cart shows regular price.